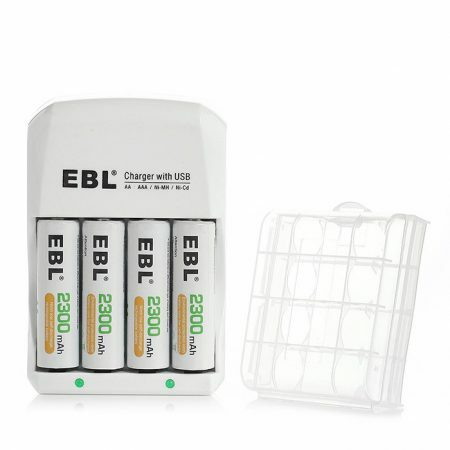 Output: AA : 2.4V DC*2 200mA; AAA : 2.4V DC*2 100mA; USB : 5V DC 500mA. 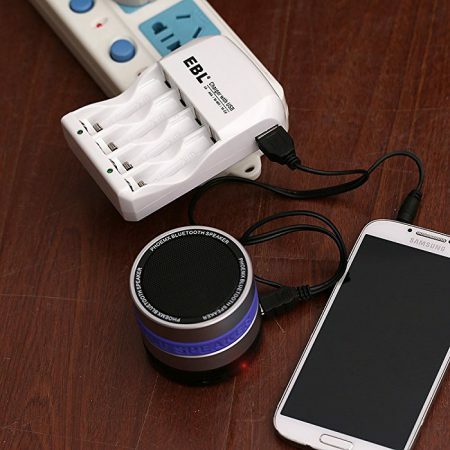 — MP3, Bluetooth speaker, Bluetooth keyboard and other 5V 0.5A devices. 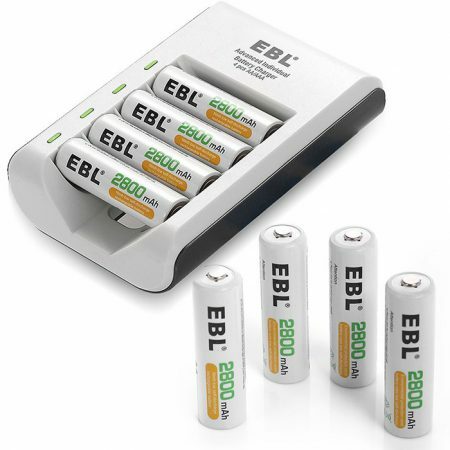 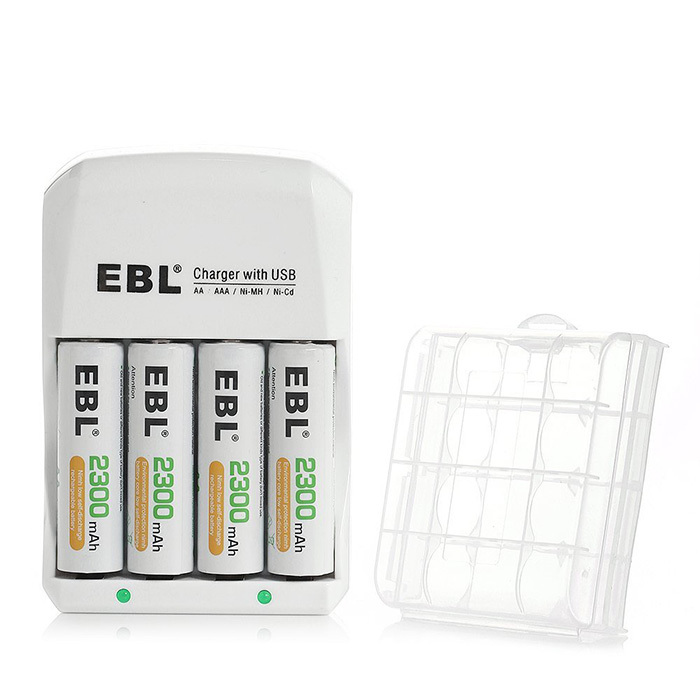 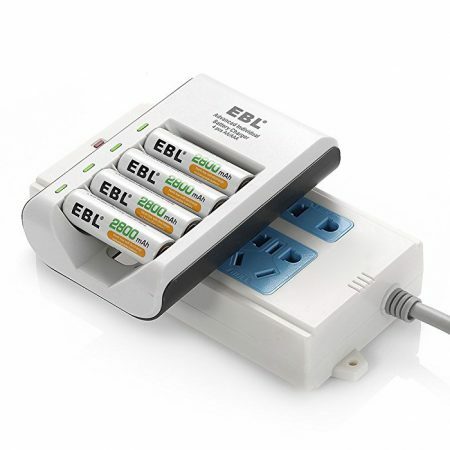 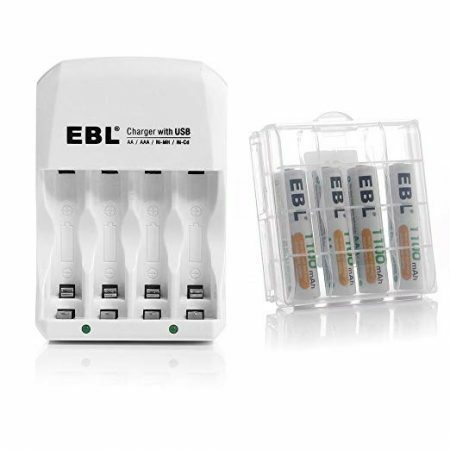 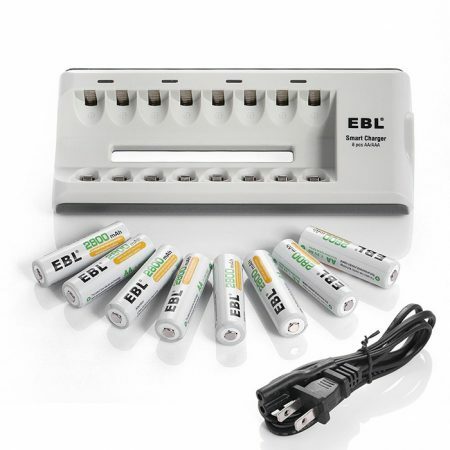 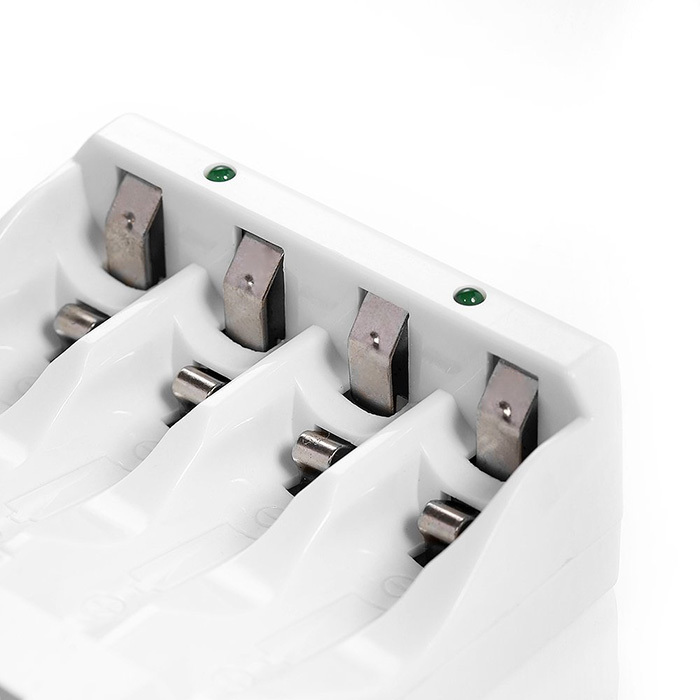 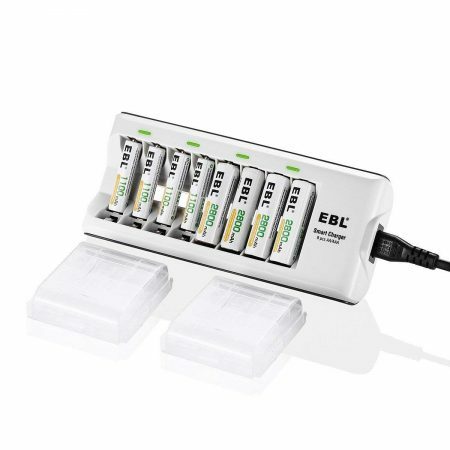 The EBL 850 charger is extremely portable and multi-functional, with 4 slots to charge 2 or 4 AA/AAA Ni-MH/Ni-CD rechargeable batteries. 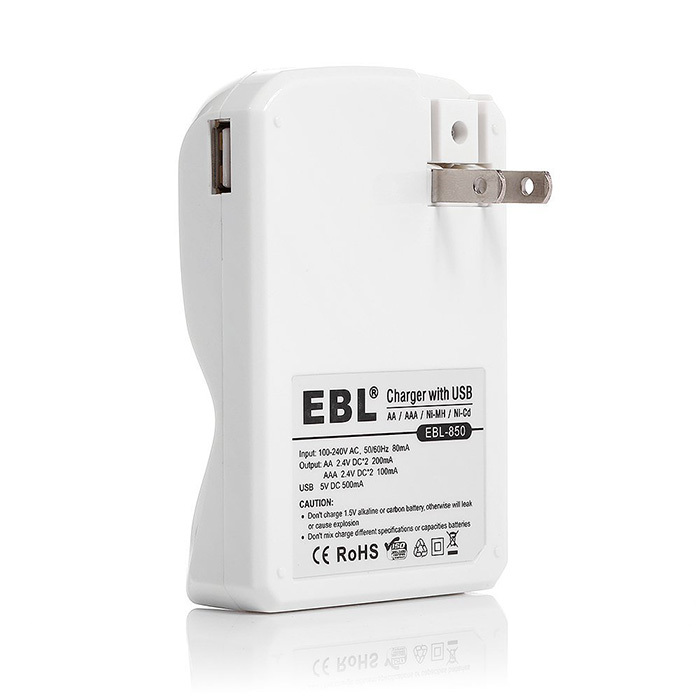 Besides, the charger can also act as an adapter for your 5V 0.5 devices. 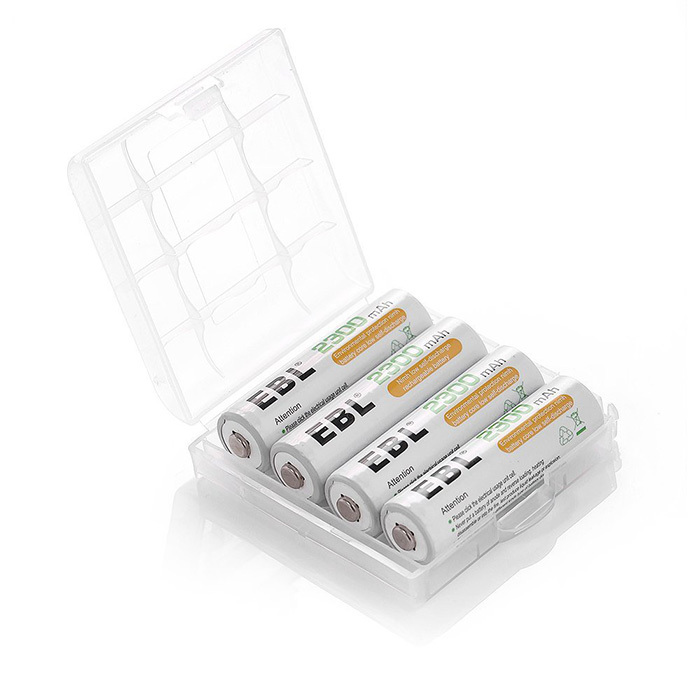 The high-quality attached batteries have all been officially certified by CE and ROHS, which guarantees the high quality and performance. 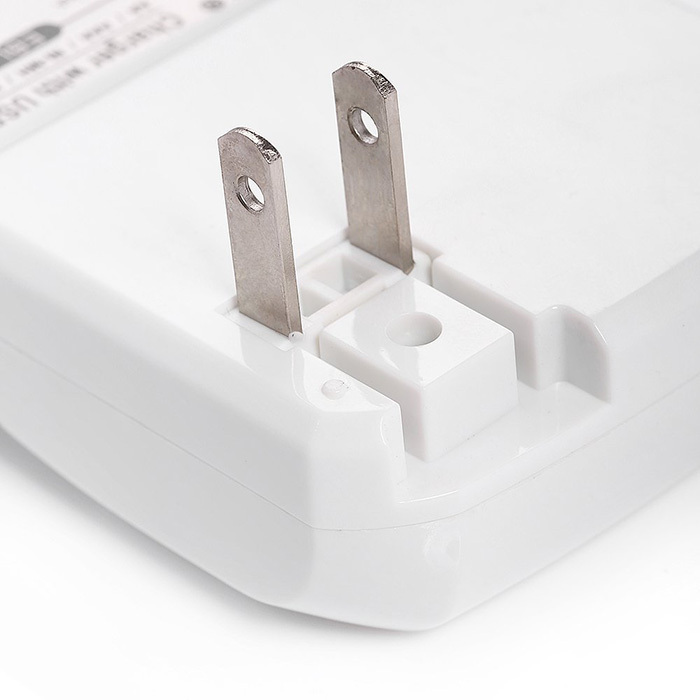 The 2 LEDs clearly display the charging status: charging(RED) → fully charged (OFF).